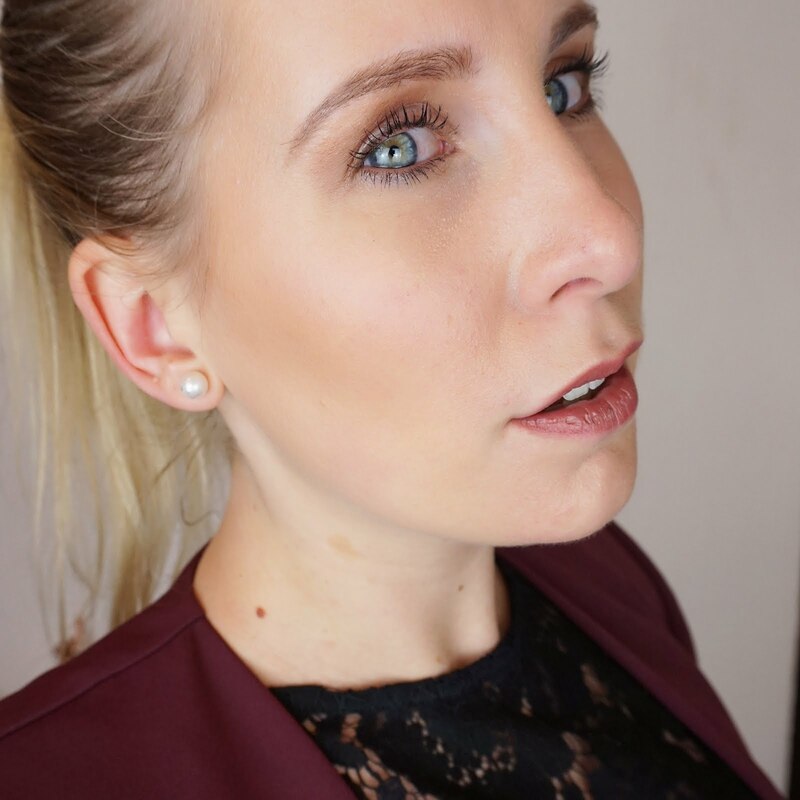 When it comes to skincare, cleansing and taking my makeup off at the end of the day, I look for the best of the best. One of the main causes of ageing skin and breakouts is not cleansing properly and allowing pores to get clogged up. But what is the best way to take off the day? Well, that depends on what you want and prefer. You can use a cleansing routine with your hands, wipes or cotton pads, but there are also some electrical or sonic cleansers that can assist you in removing even the smallest residues of makeup, the stuff that we often can't see. One of these sonic cleansers is the BeGlow TIA. The TIA itself is a silicone covered little device that is 100% waterproof and sits easily in your hand. 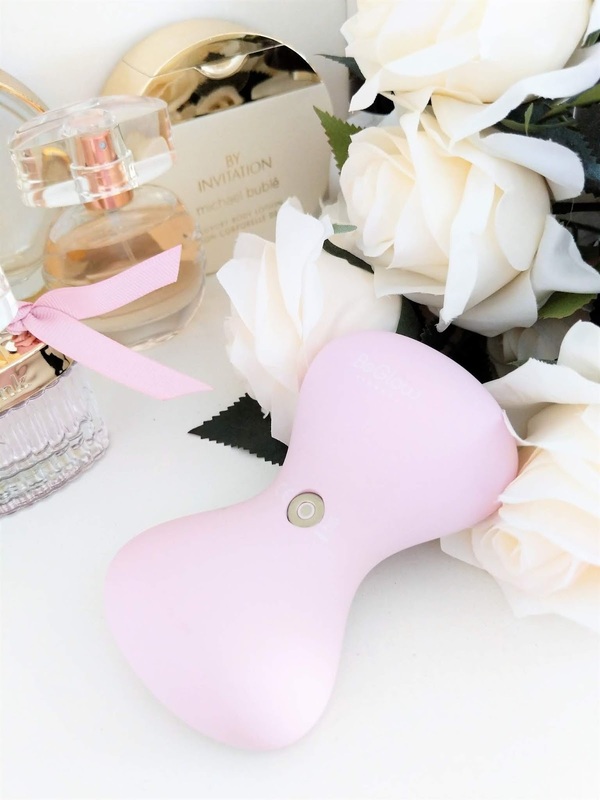 It has a replaceable silicone brush head that is used for deap cleansing. The thing I love about silicone, is that it resists the buildup of bacteria. The brush head is held in place with a magnet, making it super easy to remove, clean separately or replace. The TIA has two cleansing settings: SkinSense and standard. 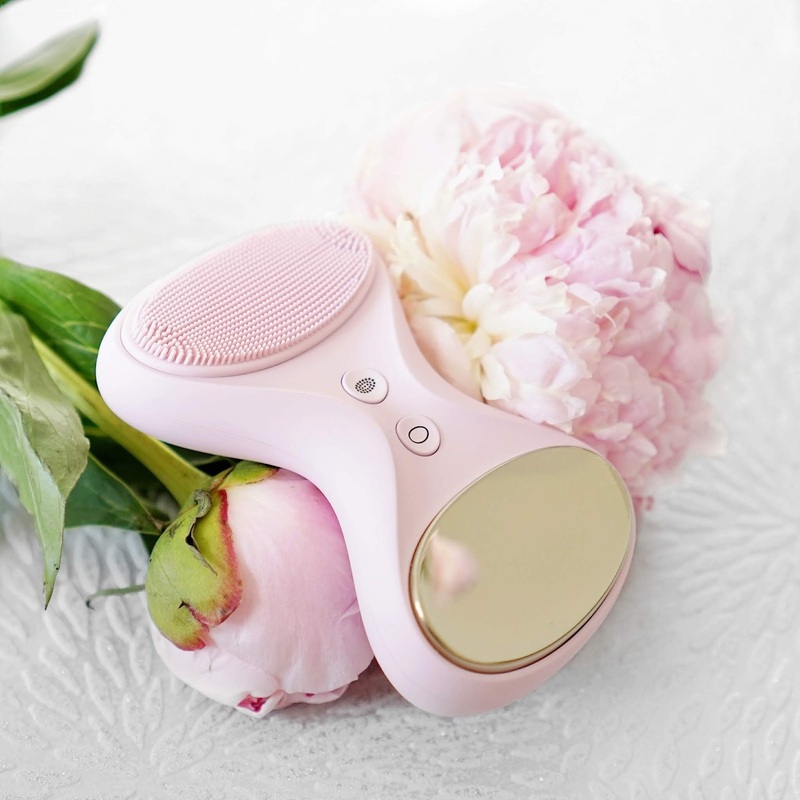 SkinSense, when you press the button once, allows the pulsation to start once the brush touches the skin, and increases the intensity depending on how hard you press. I like this setting because it allows you to decide how deep you want to cleanse. 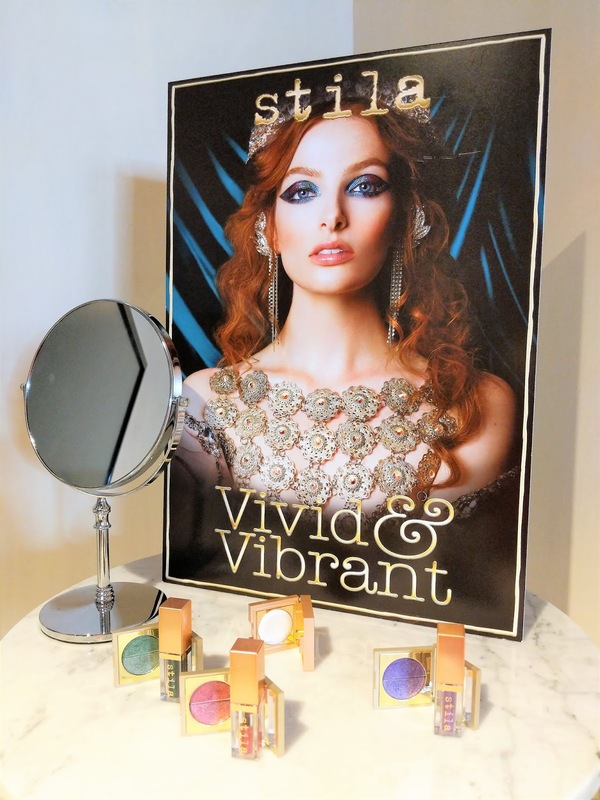 Perfect if you prefer a light cleanse in the morning and a deep, makeup removing cleanse in the evening. The standard setting allows an average, constant pulsation. Opposite the silicone brush, we find a titanium plate which is used for anti-ageing. Now this is the exciting part if you ask me! The plate pulsates which stimulates blood circulation and is meant to reduce the appearance of pores. Great little tool for those problem areas we all worry about. What I did though, is use the plate with a serum, and I can tell you once you've tried this you won't want anything else. The serum is absorbed so much quicker and really penetrates the deeper layers of the skin. For me, this is where the TIA has really won me over. What a game changer! Finally, there is the back of the TIA. 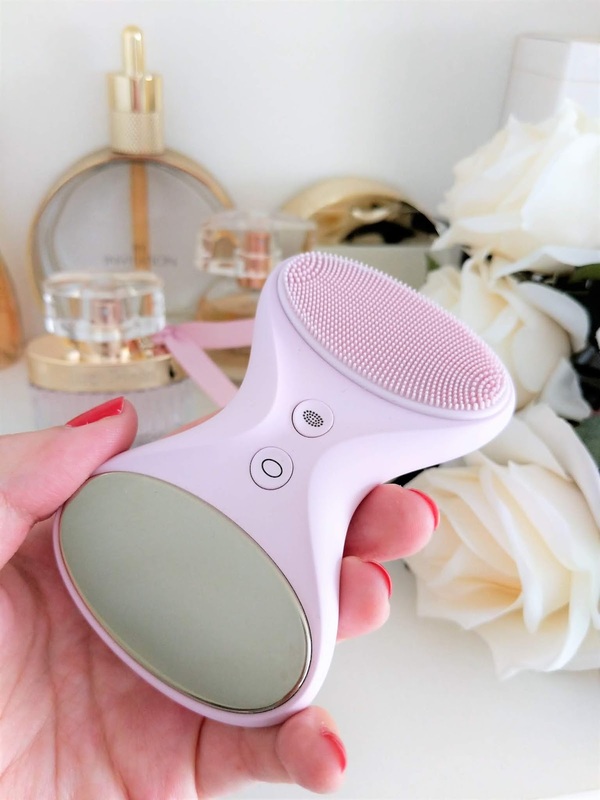 Initially I thought the TIA's shape was designed to sit in the palm of your hand but it is actually a really smart design that allows you to massage the skin under the chin, jawline and cheekbones. 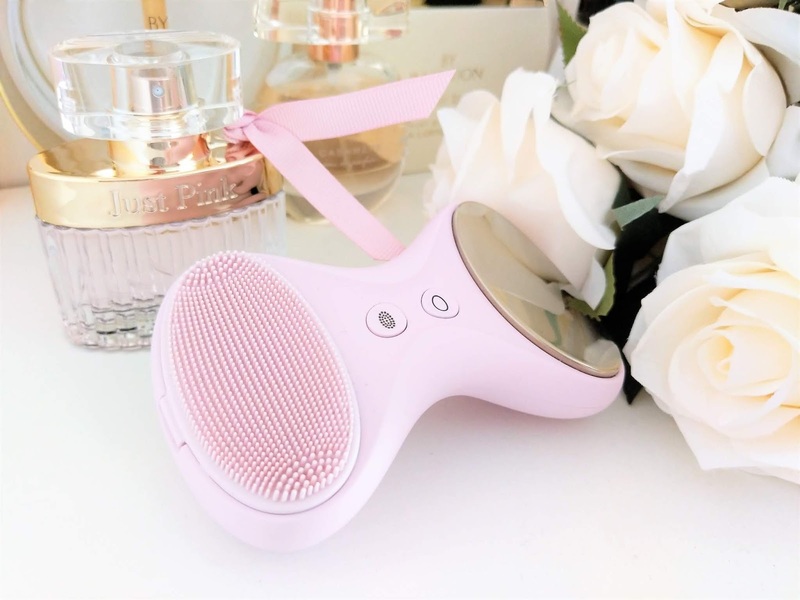 What this does is help increase the strength and definition of the facial muscles which help battle things such as sagging skin and that dreaded 'double chin' idea. Looking at the TIA and what it does, I can't praise it enough. I mean, what more could we want from our cleanser? It's well made, easy to use and such a useful, powerful tool! It charges through a magnetic USB cable and once fully charged, it should last about 6 months. So are there any negatives to this little beauty? Only 2 really tiny ones: I was a little taken aback by the noise level of the titanium plate. It's not too bad at all but I just expected it to be a little quieter. The second one is the price. This little baby is available for £199 / $249, which is a lot of money for many of us. But I do have to add to this that it is a one-off purchase and definitely worth the splurge if you use it religiously. I'm a fan! If you prefer a BeGlow device with just the cleansing brush without the titanium plate, check out the BeGlow PURA. I’m dying to try out one of these little gadgets but they retail to such a high price!! Gorgeous photos!